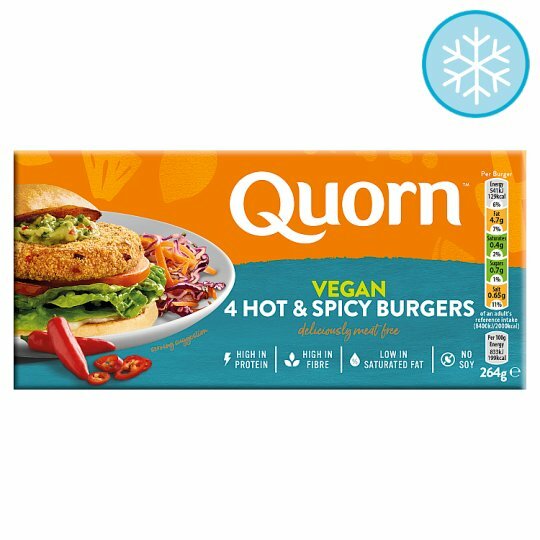 Try Quorn Vegan Hot & Spicy Burgers for a delicious meal. A Quorn vegan patty coated in a spicy crumb are delicious topped with sliced tomato and crispy lettuce. You can now enjoy Quorn as part of a Vegan diet. Oven cook (From Frozen): Cook from frozen. Remove all packaging.